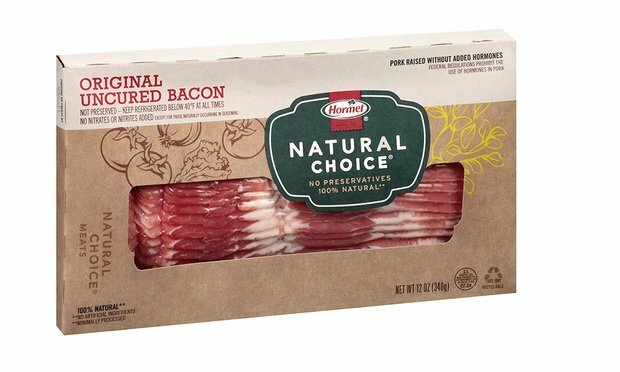 A recent lawsuit against Hormel Foods Corp. revealed what exactly goes into its meat products—and how "natural" may not mean what consumers think it means. A recent lawsuit against Hormel Foods Corp. revealed what exactly goes into its meat products—and how ”natural” may not mean what consumers think it means. The Animal League Defense Fund filed its suit in D.C. Superior Court, alleging Hormel “engaged in potentially misleading advertising of animal products” with its Natural Choice label, Bloomberg reports. The label in question leads customers to believe the meat products do not contain hormones, antibiotics or preservatives. But, according to internal Hormel emails collected in court filings, that is not the case. Hormel’s director of marketing said in an email that “many consumer[s] assume Natural=RWOA [Raised Without Antibiotics].” Corwyn Bollum, Hormel’s director of pork procurement, said in a deposition that there is “no separate manner in which the pigs raised for Hormel Natural Choice products are versus any other of Hormel’s products, so Spam or any lunchmeat or bacon product.” Very few of those pigs have access to the outdoors, and some used in Natural Choice products received antibiotics and/or ractopamine, a growth promoter. The Natural Choice label also includes the claim “no nitrates or nitrites added,” and on its website Hormel adds, “except for those naturally occurring in cultured celery and cherry powder.” Celery juice powder is naturally high in nitrates, and the Center for Science in the Public Interest says bacterial cultures convert the nitrates into sodium nitrite, the consumption of which has been linked to cancer. The ALDF intends to appeal the ruling. ”It’s a massive attempt to manipulate and dupe the consumer to purchase something they have no intention to purchase,” said ALDF lawyer David Muraskin. According to a Consumer Reports survey from 2016, 73 percent of respondents said they sought out products that had “natural” on the label, even more so than products labeled “organic.” A 2017 Arizona State University study found that beef eaters were willing to pay more per pound for meat with “natural” on the label, even if they were unfamiliar with the USDA’s definition of the term.